The Supreme Court on Wednesday started hearing the case against the UID project — a project that has emerged, layer by layer, over the years. 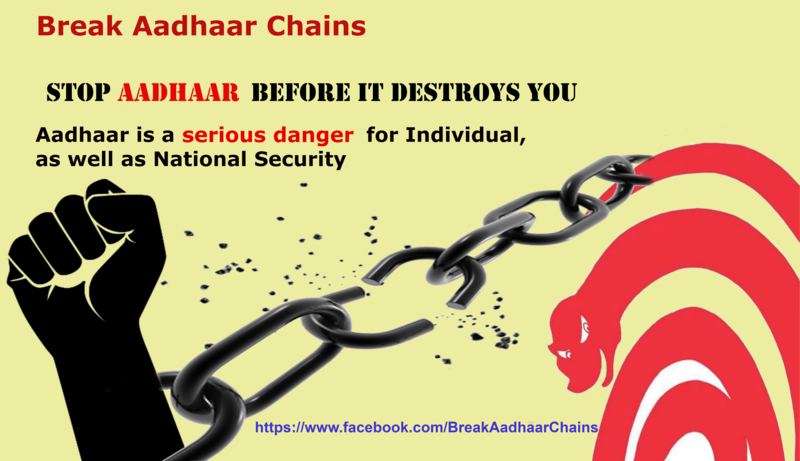 In 2008, the EGoM which approved the establishment of the UIDAI was seeking standardisation of government data bases. “UIDAI may not undertake creation of any additional database”, they said. In 2009, once Nandan Nilekani took over, the rules changed. The UIDAI was permitted to enrol up to 100 million people to begin with. How this came to cover the whole country is a tale of its own. By the end of 2009, it was decided that biometrics would be the instrument to produce uniqueness. In the UIDAI’s own telling in a notice inviting application from a biometrics consultant, in January-February 2010, it knew nothing about whether, or how, biometrics would work; but it was decided to deploy the tool anyway. That is why those challenging the project charge biometrics with being “untested technology”, and ”an experiment conducted on a whole population”. In 2011, a parliamentary standing committee rejected the National Identification Authority of India Bill, 2010. The government and the project proponents simply ignored this rejection, and carried on as if the law did not matter. In 2012, the seemingly benign project turned coercive. Voluntary became mandatory. The inclusive agenda was cast aside and threats of exclusion took its place. The stated aim of helping people to access their entitlements — food, work, wages, pension — was replaced by threats of exclusion. This was the beginning of the treatment of a whole population as potential fakes, ghosts, duplicates, and, over time, as black-money holders, tax-evaders, terrorists, and money-launderers. In 2013, the ID system was definitively transformed into an ”identity platform” on which apps were to be built. A 2013 Fireside Chat featuring Vinod Khosla, Nandan Nilekani and Srikanth Nadhamuni — the last-named worked with Nilekani in the UIDAI, and then stepped out to work with Khosla on making a business out of the UID system — tells us how private corporate interests built up businesses using the UID number and the footprints we left behind in every database. Khosla Labs is now in the Supreme Court, telling the court not to do anything that will affect the business it set up in 2013. In 2014, as finance minister Arun Jaitley explains, the determination to tear down the project was dramatically reversed after those in government had a word with Nilekani. A remarkable way to make public policy! In 2016, the onslaught of coercive enrolment and embedding the number in hundreds of databases spiralled out of control. Then it was the turn of bank accounts. If you don’t embed your number, the government said, your account will be frozen. That is, what is yours will no longer be yours. This was a whole new level of threat and coercion and, in this case, potential appropriation. Simultaneously, penalties were introduced into this amalgam. Don’t seed your number in your income tax returns, and the system will refuse to accept the returns. And that makes you a defaulter — an offender — in the eyes of the law. The idea of rule of law has been systematically violated. Court orders have been flagrantly violated. There was no law in the first seven years of the project; then a law was passed using the money bill route. There are MoUs between state governments, banks, oil companies and others with the UIDAI, designed to collect information about every individual and store it for use in State Resident Data Hubs, promising a 360-degree view of each individual. The project has moved beyond creating only a surveillance state, and has set out to create a surveillance society in which every agency is required to collect, keep and give to the State information pertaining to every person. Mobile phone companies and banks are the best known illustrations of this. The ‘Trickle-Up Theory’ is current economic thinking, viz, people may not have wealth to spend in the market, but they have their personal data which the marketplace wants. So personal information is to trickle up to create wealth for businesses.